Donna Norton will manage your rental as though it were her own. As a former owner of four investment properties which she managed herself for seven years, Donna understands what’s important to a landlord. 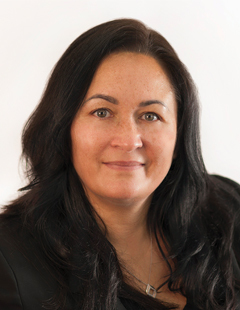 Local Knowledge gained from living in Rotorua all her life and from managing her own Rotorua properties has equipped Donna with the ability to provide accurate appraisals and advice. Donna has the background experience and loves to be busy, so entrust your rental investment to one who has ‘walked the talk’. Donna, we want to thank you for your absolute support in all our matters. Your direct input has been very helpful and we appreciate the time you have taken to ensure our rights were well taken care of. We have had major issues whilst living here and you were the only agent who took the time to hear us. This is the first time any of our agents/landlords have genuinely helped us. We have experienced nothing but dismay during our rental history not only in this property, but also in other properties, but you have restored our trust that not all who manage houses are what we call "useless". We highly value you and hope you continue to help others such as ourselves who are treated as "just renters". We understand this to be someone who holds integrity and a love for people more than the job that they are assigned to do. You are simply amazing. I want to take this opportunity to comment on one of your Property Managers, Donna Norton. Since Donna took up the position of our Property Manager , she has always made us feel as if we are her only client, her people skills are outstanding. We have had more important and safety issues completed in her short tenure of property manager. We would like to congratulate you on your choice when hiring Donna. You certainly hit the jackpot there and so did we. We look forward to many more years as clients of Eves with Donna as our Property Manager. I have been a landlord for over 20 years so I understand the importance of a good property manager. I only met Donna a 3-4 months ago when she took over management of my block of flats . At that time I told her that we were soon to be selling the property . Even though this was known to her she did a great job of handling our last few months of ownership, not only dealing with tenant issues , but making the sale process go smoothly . For this I am very grateful so I have no problem recommending her to any future landlords . During the past two months l have communicated with Donna by e-mail and telephone whilst she identified suitable new tenants for the Trusts home unit located in the thermal area at Tilsley Street, Glenholme, Rotorua. From the outset, l was impressed with her positive attitude, friendly manner and the efficient process she adopted to satisfy the Trusts aspirations for the unit. Donna quickly familiarised herself with the features and character of the property, then assembled a lengthy list of suitable tenants. After applying due process she recommended a suitable couple. I was very pleased with the outcome and trust that the tenants will enjoy and safeguard the property over the ensuing 12 months. As yet, l have not had the pleasure of meeting Donna in person. However from my limited contact thus far, l believe she is a real asset to your Company. Therefore I look forward to dealing with her in the future, should the Trust need to obtain new tenants. Meantime l really appreciate her ongoing input to the management of this small, but important investment in the provision of high quality, private sector rental accommodation in Rotorua. May l wish Donna and Eves Rentals every success. We are your client (landlord) of a Rotorua property. Recently, we have had a situation with our property which could have been major. From start to finish of the project, and to get a tenant moved in without too much stress, was all due to the property manager Donna Norton’s full help! We would like take this special time to said Thank You! She is the best property manager. We appreciate & thank Donna’s efforts in this case. During the process she always maintained contact with us to understand our requirements and we are very satisfied with Donna’s job!